Although Vietnam did not intercede in the July 12 Philippines-China arbitration, nonetheless it now finds itself on the right side of the facts and the law in its disputes with China over maritime rights in the South China Sea. The disputes in the South China Sea concern two sets of issues. The tribunal did not have legal competence to decide the first set, which covers questions of ownership over the islands that dot the seascape. These include the Paracel Islands, occupied by China, but claimed by Vietnam, as well as the Spratly Islands that were the subject of the arbitration. In the Spratlys, Vietnam claims the entire island group and controls 29 features, whereas the Philippines controls 9, China 7, Malaysia 5, and Taiwan 1. Although Vietnam has perhaps the strongest claim to the Spratly islands based on succession of France’s claim, the territorial disputes remain unresolved. Instead of determining lawful title to the islands and insular features, the arbitration tribunal focused on maritime entitlements accorded to individual features and China’s failure to uphold flag state responsibilities and legal duties owed under the United Nations Convention on the Law of the Sea (UNCLOS) to member states. Article 94 of UNCLOS, for example, obligates China to ensure that vessels that fly its flag adhere to international standards of seamanship. These aspects of the tribunal decision directly implicate the maritime disputes between Vietnam and China in the South China Sea, and the results of the award support Hanoi’s approach. 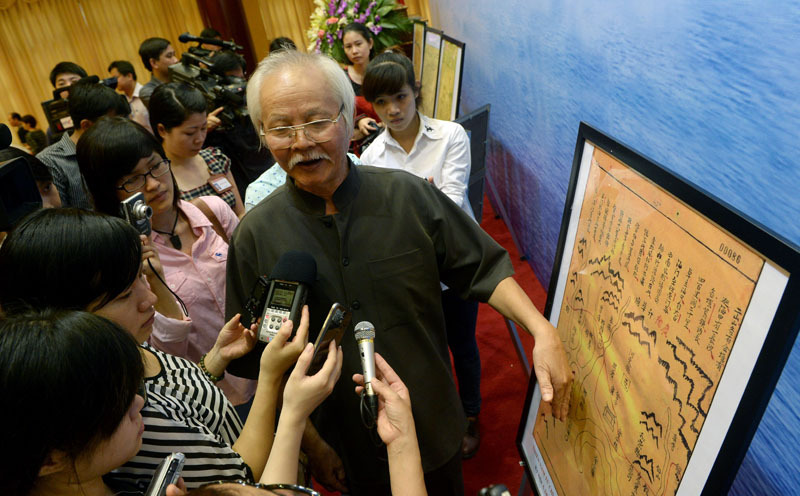 Nguyen Ta Nhi, a researcher from the Vietnam Academy of Social Sciences (VASS), introduces reporters to documents from the 17th and 18th centuries associated with Vietnam’s claim to sovereignty over the Paracel islands, June 3, 2014, in Hanoi. HOANG DINH NAM/AFP/Getty Images. First, as a smaller state, Vietnam profited greatly from the award of jurisdiction in the case. The Philippines brought the arbitration under the carefully constructed mandatory dispute-resolution process in Part XV of UNCLOS, which was designed specifically to compel recalcitrant states to submit to binding arbitration or litigation. Binding arbitration under Annex VII is the default forum when two states cannot agree on how to adjudicate a dispute. Because the arbitration tribunal awarded jurisdiction in the case, it is very likely that another Annex VII arbitral tribunal would do so in a case brought by Vietnam against China, as long as Hanoi’s lawyers focus, as the Philippines did, on theoretical entitlements to maritime zones and not sovereignty claims. Vietnam now has a clear legal path to greater certainty through binding arbitration, with a clear view of the likely outcome. In such a case, Vietnam could expect a tribunal to determine that none of the Spratly Islands, and potentially none of the Paracel Islands, generate an exclusive economic zone (EEZ) and continental shelf. Since Vietnam is entitled to an EEZ and continental shelf generated by its extensive mainland coastline, its sovereign rights and jurisdiction offshore would be complete, except perhaps for enclaved rocks potentially owned by China or another state and the territorial seas to which those rocks are entitled. Furthermore, although China elected not to participate in the proceedings, by joining UNCLOS it agreed to be bound by compulsory arbitration. Moreover, under the Vienna Convention on the Law of Treaties, states have a fundamental duty to implement in good faith provisions of treaties they join. China thus has a legal obligation to implement the decision in the case. The arbitration decision dismantles China’s nine-dash line claim to historic rights or historic title and eliminates any suggestion that insular features controlled by China (or any other state) in the Spratly Islands could generate an EEZ or continental shelf. Second, Vietnam is in a superior geographic position to China in any future dispute-resolution proceedings. The vast coastline of Vietnam generates an extensive EEZ and continental shelf in the South China Sea. The finding by the arbitration tribunal that all the islands in the Spratly Islands are rocks that cannot sustain human habitation means that none of them are entitled to an EEZ or continental shelf. Even if China owns every feature in the Spratly Islands, it would acquire, at most, a small 12-nautical mile (nm) territorial sea around each, whereas Vietnam’s coastline generates a full EEZ extending 200 nm eastward into the South China Sea and a continental shelf that goes even farther. The precedents of the Philippines-China arbitration and the Colombia-Nicaragua case at the International Court of Justice indicate that the maritime entitlements of small insular features—rocks under UNCLOS standard in article 121(3)—are limited to a territorial sea. These small territorial seas would be “enclaved” within the EEZ of the coastal state. 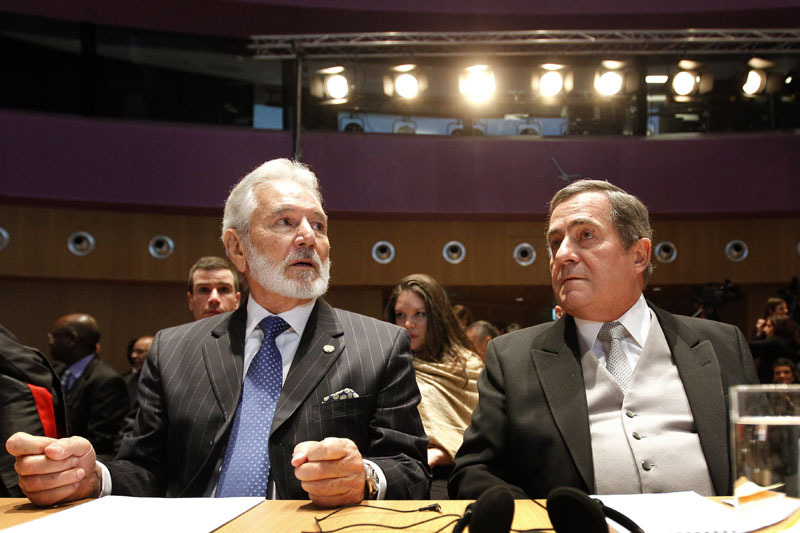 Nicaraguan Foreign Minister Samuel Santos (L) and Ambassador Carlos Jose Arguello Gomez at the International Court of Justice prior to the reading of the judgement in the territorial and maritime dispute between Nicaragua and Colombia, in The Hague on November 19, 2012. BAS CZERWINSKI/AFP/Getty Images. In other words, Vietnam’s EEZ and continental shelf claims generated from baselines along the mainland coast are secure and uncontestable, whereas China at most could claim a small territorial sea around each island that it may own. Much like the Philippine-China arbitration, one might expect that some of the features in Vietnam’s EEZ are low-tide elevations not entitled to any separate maritime zone and form part of the continental shelf of the Vietnamese seabed. Vietnam has erected platforms on several of these features. The upshot of this analysis is that while the Philippines-China arbitration means that none of the Spratly Islands, and most likely none of the Paracel Islands, generate an EEZ, Vietnam is still assured of its entire EEZ generated from the mainland coastline. It is true that Vietnam forgoes any additional EEZ that might have been generated by the Paracel Islands, but with China in possession of them, it is unlikely Hanoi will realize those theoretical benefits. Furthermore, given the high standard for sustaining human habitation that was crafted by the Philippines-China arbitration, Vietnam, like China, has a weak legal claim to an EEZ from the Paracel and Spratly Islands. Article 121(1) of UNCLOS states that although there is a presumption that islands are entitled to an EEZ and continental shelf, islands that cannot sustain human habitation or an economic life of their own are classified as “rocks” and limited to a 12-nm territorial sea under article 121(3). The tribunal further restricted the test for human habitability by determining that temporary populations, including fishermen and military personnel, do not fulfill the requirement of organic “economic life.” Finally, even if the Paracel Islands were to revert back to Vietnam, Hanoi’s maritime claims from the Paracel Islands would be subject to overlapping claims from other states and therefore not entitled to a full 200-nm EEZ. In short, Vietnam benefits from the Philippines-China arbitration award. Although not supporting Vietnam’s potential claims of EEZs from the Paracel Islands or Spratly Islands, the award strongly affirms the country’s exclusive sovereign rights and jurisdiction over nearly all the EEZ generated by its mainland coast. Vietnam may lose a broader theoretical right to more expansive claims based on insular features, but the legitimacy of its EEZ and continental shelf claims measured from the mainland coastline is strengthened tremendously. 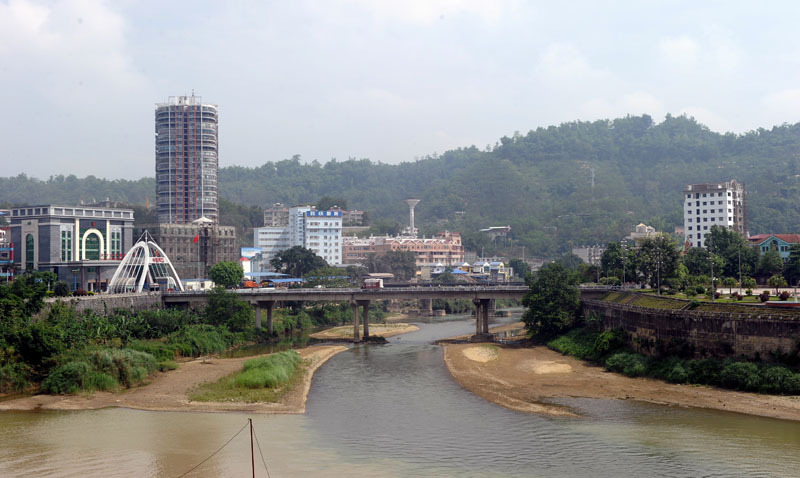 The border between China (L) and Vietnam (R) in the northern Vietnamese city of Lao Cai, on May 9, 2014. HOANG DINH NAM/AFP/Getty Images. By excluding China (and Taiwan) from large maritime entitlements in the South China Sea, the arbitration award appears to make agreement and accommodation among Vietnam, the Philippines, Brunei, and Malaysia more achievable. By determining that all the Spratly Islands are either low-tide elevations or rocks, the potential for overlapping claims to maritime jurisdictions among these countries is reduced. For example, Vietnam has erected platforms on submerged features in Malaysia’s EEZ, and the award clarifies that these platforms do not generate any maritime zones. The insular features now limited to at most a territorial sea have less value than if they could generate an EEZ. With Vietnam’s neighbors to the south and east also entitled to an EEZ and possibly a continental shelf based on their mainland coastlines or large islands, regional states have greater incentive to be flexible on individual island claims in order to resolve disputes over ownership. Thus, the greatest impact of the arbitration award may be felt in negotiations among smaller states to sort out their myriad territorial claims to islands. If the states are successful in resolving those claims and can speak with a unified voice, they will steer the future legal and political narrative in the South China Sea. James Kraska is the Howard S. Levie Professor in the Stockton Center for the Study of International Law at the U.S. Naval War College. Banner image: © STR/AFP/Getty Images. The Vietnamese fishing boat “DNA 90152”, which according to Vietnamese media was rammed and sunk by a Chinese ship, being raised at a shipyard in the central coastal city of Danang on June 2, 2014.